CELEBRATE SALE-A-BRATION CLASS THIS WEEK! I can’t believe that it is the end of Sale-A-Bration. The last 3 months have flown by. This week in Class we are giving the Sale-A-Bration products ONE LAST LOVE. Come and join in if you are a Wollongong local. Here are the details. WHEN: Friday 29th March at 10am or 7pm. Can’t make the class? You can still order up to 6pm Sunday 31st so you don’t miss out on your free products. Here is a sneak of what we will be making. 3 gorgeous cards! Hope to see you there. It’s hot out there but there’s a cool new catalogue in town with the 2019 Occasions Catalogue and Sale-A-Bration to boot. If you are a Wollongong local come along and check it all out. WHEN: Friday 18th January 7pm and Saturday 19th 2pm. RSVP: Wednesday 16th. Be early to reserve your seat. Reply by Saturday 12th and receive a special gift. FOR OUR LAST CLASS LET’S MAKE CHRISTMAS TAGS! It’s our last class for the year this weekend. I know life is busy at this time but if you come along you will make a set of 6 Gift Tags and a Gift Box. That will help you out for tagging your gifts this Christmas. I think you will like these. Here is a peek. WHEN: Friday 7th at 10am and Saturday 8th at 2pm. PLEASE RSVP: By Thursday 6th. Book early though to reserve your seat. Email me at jghayward@yahoo.com or comment below. While our classes might be finishing for the year the creating isn’t so be sure to stop by as I share my creations with you. GETTING YOUR SHIMMER ON IN CLASS THIS WEEK! For local Wollongong Peeps we are getting your shimmer on this week. 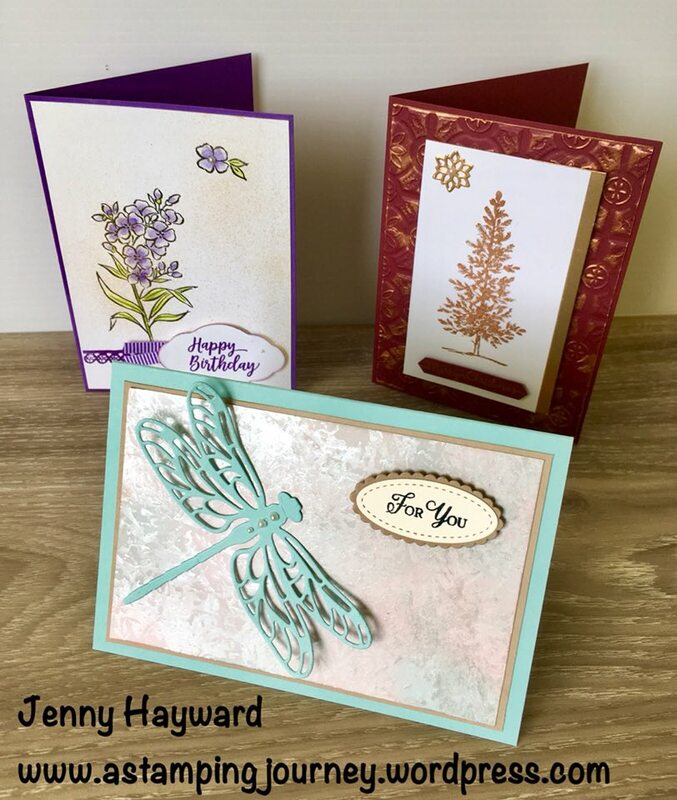 You will learn how to use the Shimmer Paint in different ways while creating some gorgeous cards. These paints are so fun to use and you can achieve some great effects with them. Friday 23rd November 10am and 7pm in East Corrimal. COST: $20 ($5 extra to use my adhesives). ** Receive a Free Sponge Dauber for each bottle of Shimmer Paint you purchase. PLEASE RSVP: Thursday 22nd. Earlier to reserve your seat. Here are the cards we will be making. As a bonus, invite a friend with you that I haven’t met to receive a special gift for the both of you. 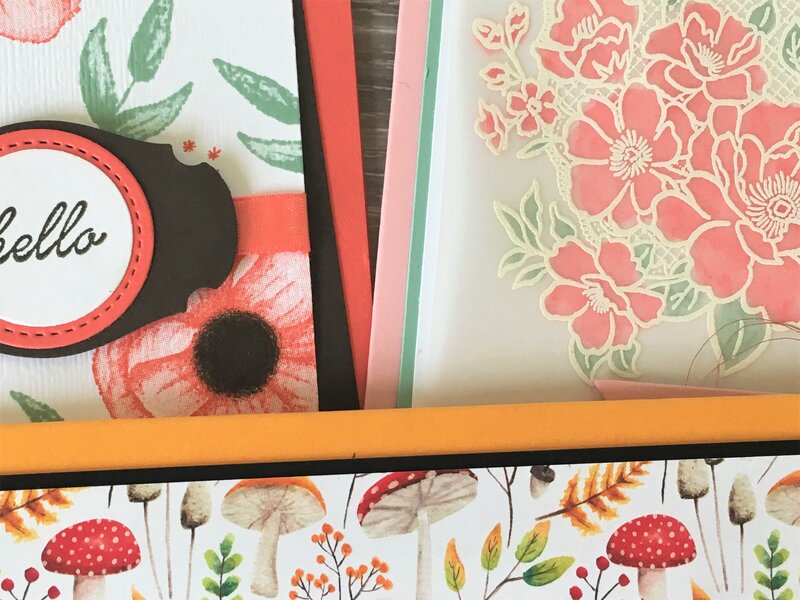 Catalogues, Christmas, Classes, Stampin' Up! COUNTDOWN TO CHRISTMAS – HOLIDAY CATALOGUE LAUNCH! 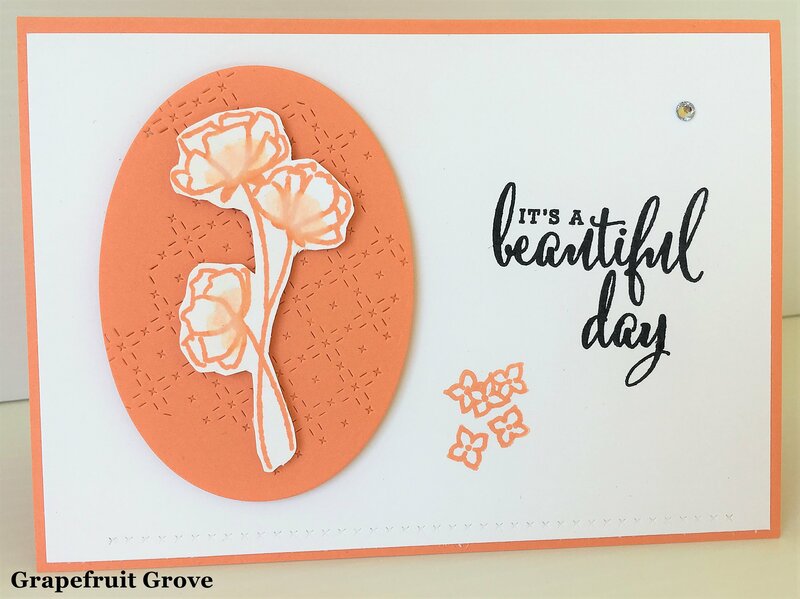 The 2018 Stampin’ Up! Holiday Catalogue goes live September 5th – this Wednesday. Watch this space 🙂 I have been creating up a storm with some of these products and I can’t wait to share them with you. This weekend I will be holding my Holiday Catalogue Launch events. If you are a Wollongong local then do come along. Lots of fun and Christmas creating. Here are the details. WHEN: Friday 7th September 7pm OR Saturday 8th September 2pm. Held in my studio in East Corrimal. COST: $15 includes 2 projects, refreshments, a small gift and don’t forget the fun. PLEASE RSVP by Thursday 5th by emailing me or dropping a comment here. Can’t make it? Request a free catalogue to be mailed to you. (Australian Demonstrators only). USING THE ECLECTIC LAYERS THINLITS! I have been sharing quite a few cards lately using the Oh! So Eclectic Bundle which includes the Oh! So Eclectic Stamp Set and the Eclectic Layers Thinlits. (You can see them in the catalogue on p 133 and p213). One thing with the Eclectic Layers Thinlits you may not realise is that some of the dies only emboss while others cut. Some of the dies layer together to cut the outline and a detailed inside or you can use one on their own. It can be a little confusing so I put together a little handy guide that is just the size to keep in the packet with the Thinlits so I can see at a glance. I thought I would share that with you. 1) On the card on the left it shows some of the detailed shapes. There are 2 different dies to create this shape; the outline die and a matching detailed die. I find it easier to fit the detailed die inside the outline and cut them all together. It is so much easier. The outline die can be used on its own to cut the stamped image from the co-ordinating stamp set. On this card too it show the dies that will create the dry embossed effect. These dies will not cut. 2) On the card on the right it shows the diamond pattern. I love the effect you get with this on cards. Now if you are really patient you can cut sections of this diecut to create some other interesting shapes that you can add to your cards. I am sure there are so many other combinations too. In this Thinlits set there is also 2 leaf shapes you can cut to work with your flowers. I hope that you might find this guide helpful. Let me know what you think. Hope your weekend is going awesome and you have time to steal away and create.